Each ingredient and supplier was selected based on efficacy, potency and purity. The ingredients found in D2Metrix Plus have been heavily studied and selected for their individual support to the overall formula as well as the way they work together to achieve desired results. 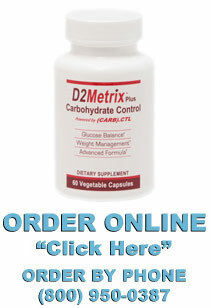 D2Metrix Plus is not a formula of generic, non-descriptive plant extracts. It’s a combination of pure, individual, specific compounds, with no unknown materials. Our sources are derived from dependable, world-class, ISO 9000 facilities. D2Metrix Plus is manufactured in the U.S.A.
Bioflavonoids are found in fruits, especially berries and vegetables, and the particular bioflavonoid we use in D2Metrix Plus is called Myricetin. Myricetin helps to reduce fat tissue development and the transport of glucose to fat stores. Myricetin is also a potent anti-oxidant and carries anti-inflammatory properties that will neutralize toxins and free radicals in your body that normally would destroy healthy tissue, weaken your immune system and slow down your body’s fat burning abilities. Anti-inflammatory:Myricetin has been shown to inhibit the expression of tumor necrosis factor-alpha, a cytokine that promotes the inflammatory response and is involved in inflammatory diseases. Myricetin glucuronide is an inhibitor of lipoxygenase 5-LOX and cyclooxygenases COX-1 and Cox-2. Heart Health:Myricetin and other flavonoids may improve heart health by preventing LDL oxidation and reducing the uptake of oxidized LDL by macrophages. 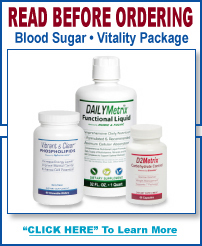 Blood Sugar:Myricetin has been proven to have potential for the management of non-insulin-dependent diabetes, by stimulating the uptake of glucose without functional insulin receptors. Studies showed that myricetin inhibits the uptake of methylglucose by adipocytes, reduces oxidative injury in high blood sugar related bone diseases and reduces glucose plasma level in diabetic rats. A study with healthy men found that 200 mg of quercetin enhanced friendly nitric oxide production and endothelial cell function (cells lining arteries), indicating improved circulation and natural support for blood pressure health. Levels of quercetin will help to stop the build-up and accumulation of fat inside human cells that are aging and that way prevent new human cells from starting apoptosis (cell suicide). Quercetin also plays an important role when we want to block the intake of glucose coming from the blood that would be transformed into body fat and stored on stomach, hips, thighs and buttock. Because alpha lipoic acid can protect cells and neurons involved in hormone production, one benefit is it offers protection against high blood sugar. In dietary supplement form, ALA seems to help improve insulin sensitivity and might also offer protection against metabolic syndrome, a term given to a cluster of conditions like high blood pressure, cholesterol and body weight. Evidence also shows that it can help lower blood sugar levels. Chlorogenic Acid could help you lose weight in a couple of different ways. Firstly, it helps balance blood sugar by stopping the release of glucose into your bloodstream. Secondly, it has been shown to help your liver burn more fats and carbohydrates, which will increase your metabolism so more calories can be burned. These two factors combined will increase your body’s ability to burn calories and prevent the build-up of body fat. Chlorogenic Acid works on three fronts. It boosts metabolism by inhibiting the release of glucose into the blood. It also restricts the amount of glucose absorption after a meal. The third important function of Chlorogenic Acid is that It destroys excess fat storage in the liver.